'In Other News' is Bustle's daily roundup of the stories you might have missed. Turkey's Prime Minister has finally decided to open talks with opposition leaders in order to diffuse ongoing protests in the country. 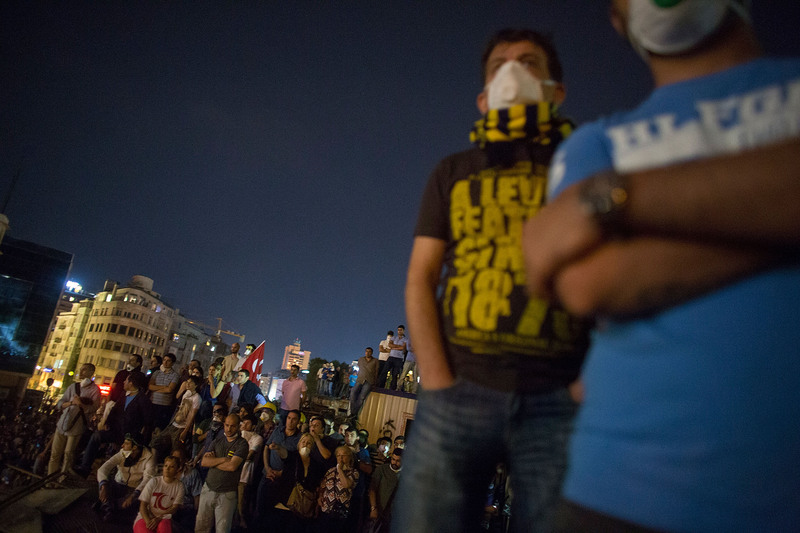 Thousands of demonstrators took to the street to defend the occupation of Taksim Sqaure Tuesday night, and were met with tear gas from police. Despite yesterday's announcement that Plan B will be made available to teens over-the-counter, the reality is setting in that Americans won't be seeing the drug in stores anytime soon. Nelson Mandela appears to be responding to ICU treatment "better," according to inside reports. Sarah Murnaghan—the 10-year-old who was put on the adult waiting list for a lung transplant last week— received new lungs from a donor today. Facebook is introducing hashtags. Users will be able to post and click on the hashtags which will never be #annoying. Predictably, Twitter has mostly responded by clicking dislike. A disease called coffee rust is threatening to destroy gourmet beans. Senior Lifestyle Editor/grinds aficionado Meredith Turits just had a panic attack. Speaking of freak-outs, New York City parents are in a twist over a creative writing assignment at an Upper West Side prep school. High school students were asked to write a suicide note from the perspective of someone about to end it. Borderline inappropriate/awesome.